Happy Halloween (& hi, Grandma!) | there's no place like gnome. Pumpkins were carved last night. 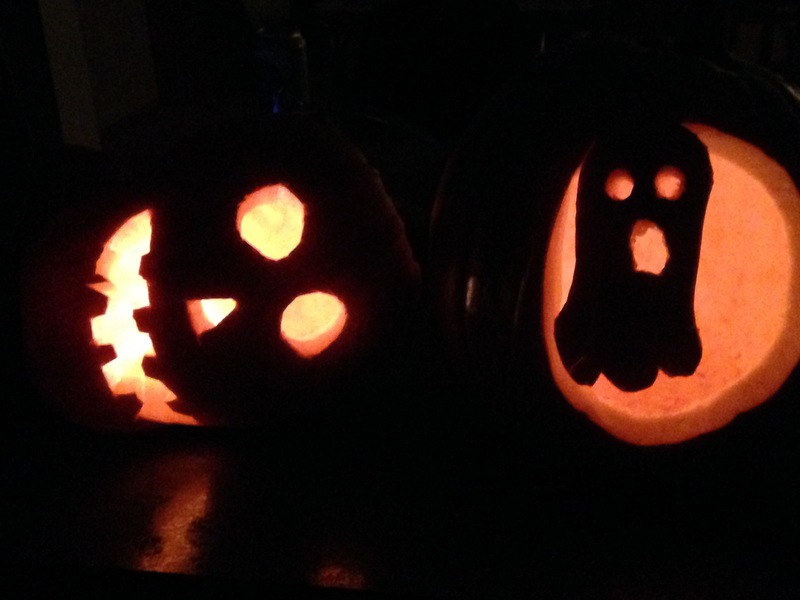 Dave’s pumpkin wouldn’t stand up so it’s a face on its side … which turned out pretty cool. I made this for supper (I recommend it!) and then we watched Inside Out – super cute and funny. Tonight we’ll hand out candy at Dave’s house and then, delightfully, I’ll get an extra hour of sleep! So excited. What else is new since the last blog post, you wonder. Last Sunday was confirmation Sunday. 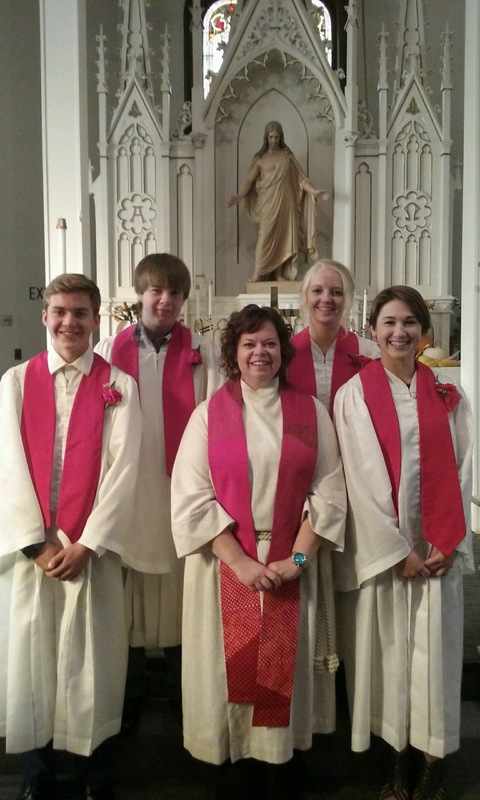 Four young people were confirmed in a lovely church service. I got a new tea kettle. It’s very exciting. Really. It is. It was a gift. 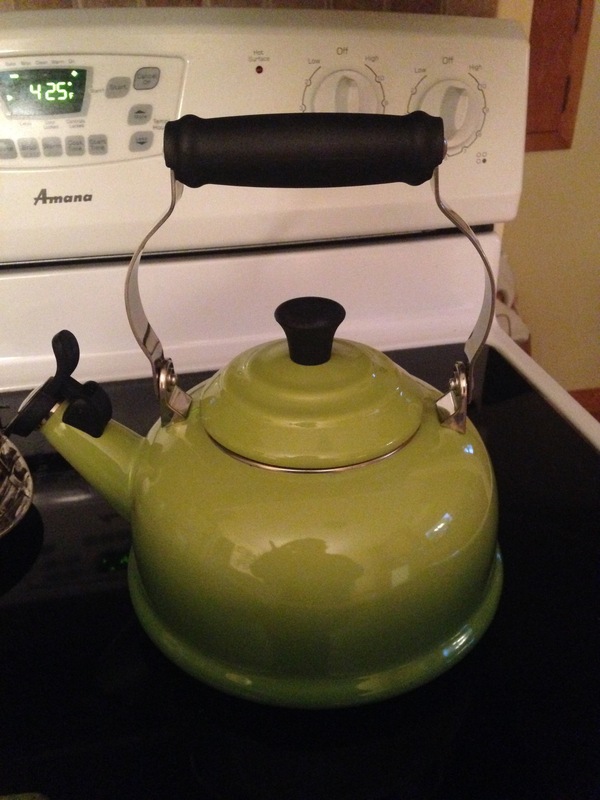 A beautiful green Le Creuset tea kettle. Be still, my heart. What else is currently bringing me joy? The new season of Homeland. Having a few nights at the sewing machine. The annual fall theological conference for the synod’s pastors begins tomorrow in LaCrosse. It’s always a good time with colleagues. A new polka dot Fitbit band. Finding a pair of shoes that I had forgotten about and loving them. Discovering a new, sneaky way of hemming jeans that works incredibly well. I have jeans that are the right length! 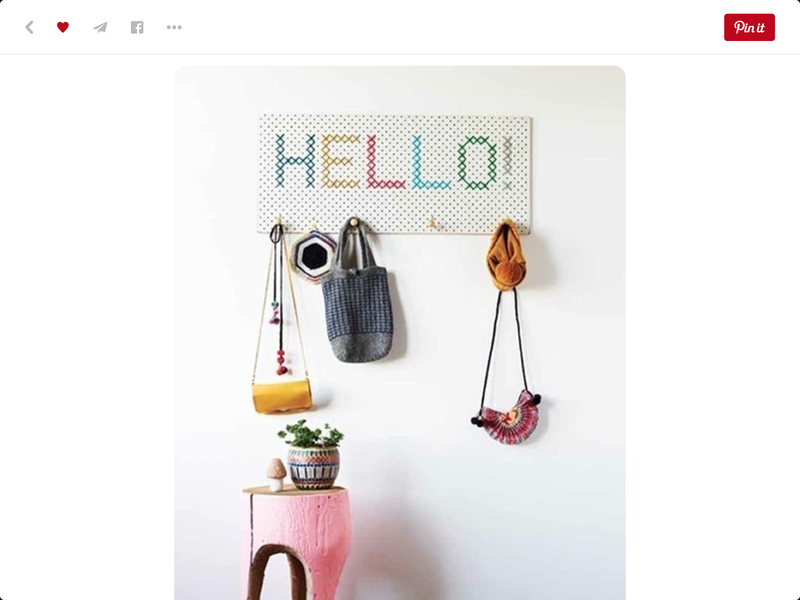 Dreaming of doing this in my back entryway. ← Two complete and one (always) in progress. Lefse? Guess who wants to learn…Uncle David! It could be fun? !